Jaarboek van de K. Akademie van Wetenschappen gevestigd te Amsterdam. Publication info: London :printed for John Millan, Bookseller,1767. Jacobi Theodori Klein ... Ova avium plurimarum ad naturalem magnitudinem delineata et genuinis coloribus picta = J.T. Klein Sammlung verschiedener Vögel Eyer in natürlicher Grösse und mit lebendigen Farben geschildert und beschrieben. Publication info: Leipzig ;Johann Jacob Kanter,1766. Jahrbuch des Bohmischen Museums fur Natur und Landerkunde, Geschichte, Kunst und Literatur. By: Böhmisches Museum für Natur und Länderkunde Geschichte Kunst und Literatur. Jahresbericht der Naturforschenden Gesellschaft Graubündens. Jahres-Bericht der Schlesischen Gesellschaft für Vaterländische Cultur. By: Herrick, Francis Hobart, - Schlesische Gesellschaft für Vaterländische Cultur(Breslau) - Schlesische Gesellschaft für Vaterländische Kultur. Publication info: Breslau :G.P. Aderholz,-1936. Jahresbericht des Mannheimer Vereins für Naturkunde. By: Mannheimer Verein für Naturkunde. Publication info: Nürnberg :In der kaiserlich privilegirten Kunst- und Buchandlung A.C. Weigels und Schneiders,1793-1812. Journal / Entomological Exchange and Correspondence Club. By: Entomological Exchange and Correspondence Club. Journal de Physique, de Chimie, d'Histoire Naturelle et des Arts. Journal of Natural Philosophy, Chemistry & the Arts. Journal of the Academy of Natural Sciences of Philadelphia. 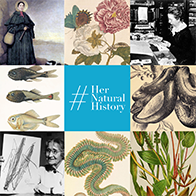 Publication info: Philadelphia :Academy of Natural Sciences of Philadelphia,1817-1918. The journal of the Asiatic Society of Bengal. Journal of the Board of Agriculture and Fisheries. By: Great Britain. Board of Agriculture and Fisheries. Journal of the Board of Agriculture. Journal of the Burnley Literary and Philosophical Society. Journal of the Derbyshire Archaeological and Natural History Society. By: Derbyshire Archaeological and Natural History Society. Publication info: London & Derby. Journal of the Entomological Society of British Columbia. Publication info: [Victoria, etc.] :Entomological Society of British Columbia. Journal of the Excursions of the Elgin and Morayshire Literary and Scientific Association. By: Elgin and Morayshire Literary and Scientific Association. Journal of the Kentucky Academy of Science. By: Kentucky Academy of Science. Journal of the Perthshire Society of Natural Science. By: Perthshire Society of Natural Science. Journal of the proceedings of the Linnean Society. Zoology. Publication info: London :The Society,1857-1864. Journal of the Royal Horticultural Society of London. By: Royal Horticultural Society (Great Britain) - Horticultural Society of London. Publication info: LondonPrinted for the Royal Horticultural Society by Spottiswoode & Co.
Journal of the transactions of the Victoria Institute, or Philosophical Society of Great Britain. By: Victoria Institute (Great Britain) - Victoria Institute. Publication info: London,The Victoria Institute. Publication info: London : T. and W. Boone,1845. A journey to the tea countries of China; including Sung-Lo and the Bohea Hills : with a short notice of the East India Company's tea plantations in the Himalaya mountains. Publication info: London :John Murray,1852. Publication info: Bournemouth :the Council [of the Society],1953.